8x8 Enhances Collaboration and Communication for University of Cambridge | 8x8, Inc. Created as a non-profit extension of Britain’s world-renowned University of Cambridge, Cambridge Assessment provides education-related services to over 8 million learners in more than 170 countries every year. The organization conducts extensive research into education and learning disciplines, with a primary focus on ensuring that assessments, involving the creation and marking of examinations, support high-quality learning and accurately reflect each individual’s knowledge and understanding. A key component of Cambridge Assessment’s operational model is providing centralized support for its global network of 2,800 exam centres. The organization’s help desk delivers round-the-clock assistance to over 30,000 examiners spread across the world. Core elements of Cambridge Assessment’s value proposition include the discipline of its examiners and the highly controlled environment in which examinations are conducted. Ensuring stringently synchronized start and finish times for exams across international boundaries under closely matched conditions guarantees fairness and objectivity in measuring each candidate’s knowledge. The secure delivery of test materials and the global coordination of millions of individual examinations requires a substantial support infrastructure, with an ability to instantly respond to myriad questions, issues, and unexpected emergencies that perpetually arise. The help desk team has seen a huge positive shift in the way it works thanks to the 8x8 Virtual Contact Centre. The 8x8 cloud-based contact centre solution unifies communications across the company’s entire global infrastructure, making it easy to provide exam centres and examiners dependable support and a consistent experience irrespective of location or time zone. Implementation was extremely straightforward, taking only a few minutes to cutover to the new 8x8 Virtual Contact Centre and executed without any operational interruptions. The impact was instant and exciting: “From ‘day one’ 8x8 has enabled us to offer a seamless, high-quality service to our customers,” stated Collins. Prior to deploying 8x8, in order to support weekend and holiday coverage, the help desk team would set up an ad-hoc series of forwarded mobile phones. This resulted in a disproportionately large number of calls being routed to the unfortunate member of staff located at the beginning of the chain. This approach is now totally unnecessary: With 8x8 Virtual Contact Centre’s ability to quickly create a dynamic queue, on-call agents log in remotely and designate the most convenient phone number for them for that session, and toggle their status to ‘on’ when they are available. 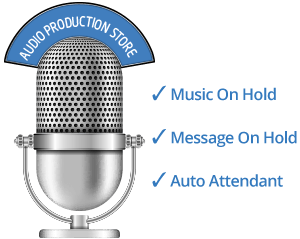 Managers and supervisors are able to monitor call volumes and optimize call routing in real time to ensure that issues are always expediently handled. Switching our customer service to the cloud-based 8x8 platform has transformed the way our business operates. In addition to handling calls from examiners and examination centre staff, the help desk is offered as a channel for students wanting to register for tests by speaking to an agent. 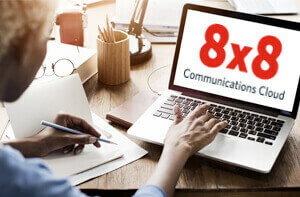 8x8 provides the flexibility to quickly adapt welcome messages, as well as make changes to call menus and phone scripts to ensure customers always get the highest levels of service. The 8x8 solution is providing the Cambridge Assessment help desk team with the ability to communicate and collaborate in a way that was never previously possible. Data obtained from Virtual Contact Centre facilitates the continual tuning and enhancement of the customer experience being delivered to personnel in exam centres around the world.